The Landlord Opportunities Map presents five core aspects of landlording. 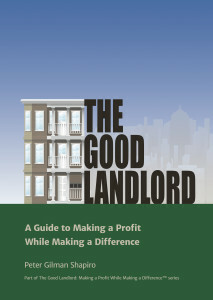 Landlords can best achieve their goals by attending to each of the five aspects. Your landlord opportunities map can make a big difference in moving you forward. You can download a copy https://form.jotform.com/63358758795174. Press SUBMIT at the end and the form will be emailed to you. Please feel free to email me, Peter Shapiro, at peter@thegoodlandlord.com, or call me at 617 620 9858, if you have any questions or concerns. How well do you handle your landlording tasks? The following Skills Assessment Tool will help you understand what is going well, and for which areas is improvement needed. what changes, if any, are needed. You can download a copy https://form.jotform.com/63289270231151. Press SUBMIT at the end and the form will be emailed to you. Please feel free to email me, Peter Shapiro, at petergilmanshapiro@gmail.com, or call me at 617 620 9858 if any issues or concerns.